Will this book help you in your entrepreneurial journey? You are wondering why some companies make huge progress while other just stay good and never growth to become great. Here is the best explanation I have seen from the lecturer Jim Collins, who explains how some companies made the changes necessary to become great and beat the stock market by at least 3 times. This book focuses on big companies, it will not explain how to start a business to get you started or even growth. It is a great study that shows what steps successful leadership undertake to make their business become the best. 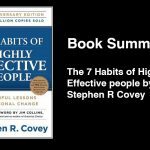 Thus, managers, leaders or people really caring about making the best possible company should read this book. Jim Collins is an American business consultant, author, and lecturer on the subject of company sustainability and growth. You can visit his website at http://www.jimcollins.com/ for more information about him and about his books. 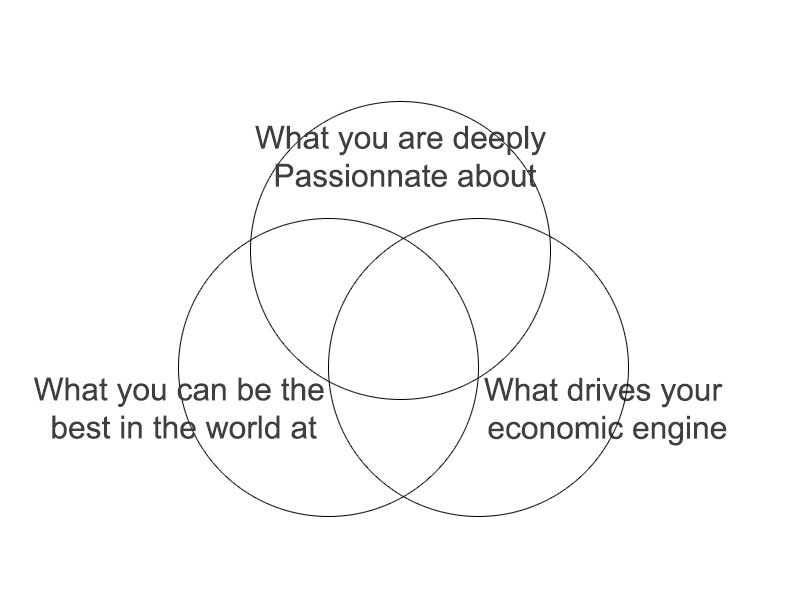 this was a 5-year research to work on good to great companies. Jim and his team have identified companies that made the leap from good results to great results and maintained those results for a minimum of 15 years. Those companies attained amazing results with an average stock return of 6.9 times the general market during the 15 years period of greatness. The image below shows what came out of the research that they conducted. what the leaders stand for and who they employ. All the companies listed below had at some point level 5 leadership during the pivotal transitions years. Level 5 leaders don’t talk about themselves. They are usually modest, shy and reserved. Those are simple people that live in a small house and has the same routine that any other employees would have. No matter the decision they need to take, even if it is a hard decision to make, they will always do it for the good of the company. If they have to fire their best friends to keep the company running or improve it, they will do so. Indeed, the company’s results are their primary focus. If the company become successful, the level 5 leader will claim it as good luck, never showing his pride. but if the company make bad moves, the level 5 leader will take the responsibility instead of blaming others. 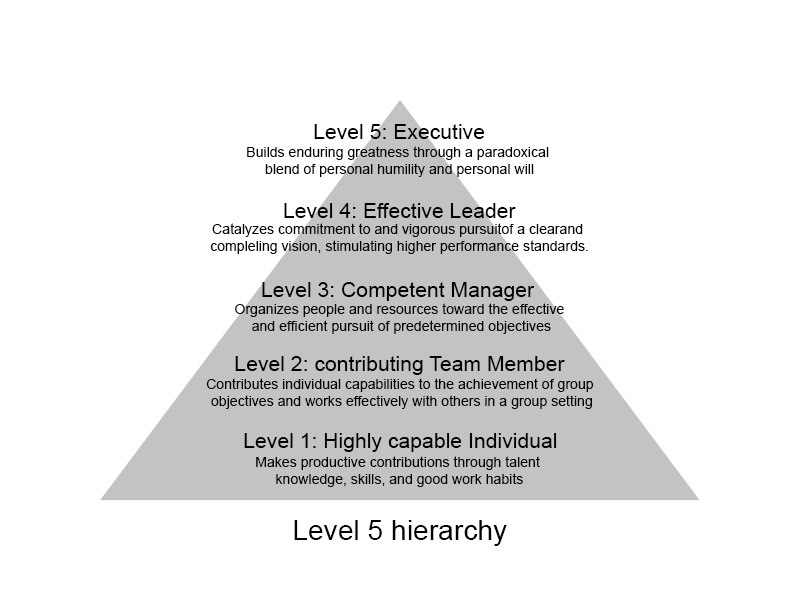 Unfortunately, level 5 leaders are often not considered for a CEO role. Unlike, level 4 leader, they are not celebrities and act like a showman. However, they would be the one that would make the company really successful as they focus on results and not on self-promotion. The first step toward getting great results is to get the right people on the bus and the wrong people off the bus. Most companies would start by focusing on what to do, then, they would select people that have the matching skills required to build what they planned. If the leader leaves, the project will automatically fail. However, good to great companies focus on getting the right people first, then start thinking of what to do to improve the company. Compensations do not make the company from good to great unless the right person is on the bus. Good to great companies are rigorous, only their best staff don’t need to worry about getting fired. But if you are not good enough, you will not stay long in the company. Only hire the best, if not sure don’t hire keep looking. Select the best people on your biggest opportunities for them to expand the company, and not make them fix your biggest problems. Good to great companies start to confront the brutal facts of their current reality. It is important to create a culture where people can give their opinions for the truth to be heard. Good to great companies do not spend the time to motivate their employees, they are already self-motivated. What is important is not to demotivate them. In order for the company to sell its products or services, executives as much as employees need to be passionate about what they do. It cannot be forced, it has to come from the heart. You have to have an understanding of what you can be the best at and not selecting objectives and goals to be the best at. This has to be your biggest strength. Maybe, in order to find what you can be the best at, you need to first know what you cannot be the best at. 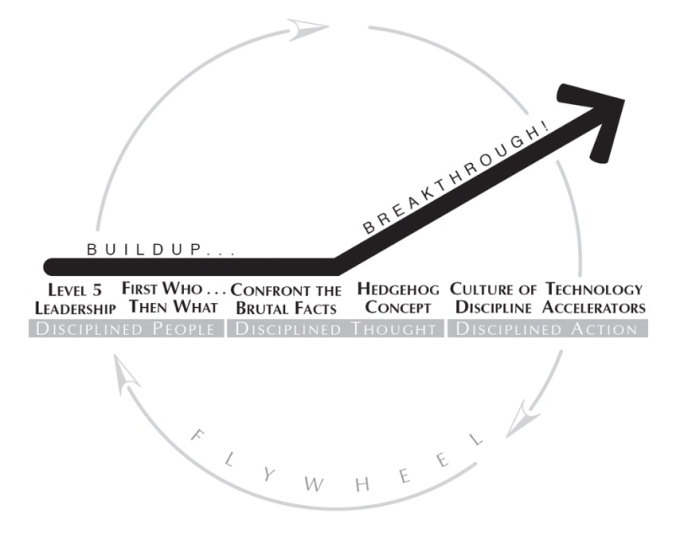 After finding the right people and defining the 3 circles of the hedgehog concept, the good to great companies need to take disciplined action and carefully follow the hedgehog concept in order to sustain great results. The culture of discipline allows people to gain more responsibilities and freedom. As they are been carefully selected, the company trust them more and allow them to accomplish more for the company. On the other hand, bureaucracy cultures aim to compensate a lack of discipline, because the wrong people were hired in the first place. Any idea that does not fit with the hedgehog concept will be automatically denied as it does not match with the common company’s vision. 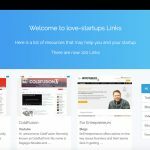 Moreover, having a stop doing list can help companies to stop doing projects or businesses that are outside of the hedgehog concept. If an idea is selected, all the budget will be focused on it. The good to great companies used technology as an accelerator of momentum, not a creator of it. 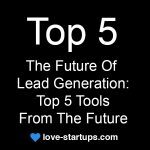 The study shows that from all the executives interviewed, only a few talked about technology as the most important part of the transformation toward becoming a great company. Technology is treated the same way as any other ideas. If it does not fit in the hedgehog concept, the good to great companies will not implement it. The technology will only be implemented if it fits with the concept. In fact, even if a technology is great, if it does not directly scale the company and help it to be more successful, it is better to ignore it. At first, it requires 2 to 3 hours of consequent effort to push the flywheel in order to make an entire turn. The more you keep pushing, the more the flywheel will move faster. The flywheel will increase it speed exponentially as you keep pushing. Companies work pretty much the same way. The more a good to great company makes a good decision, the more the company will succeed. 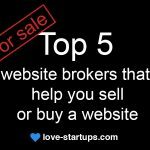 Usually, after a few years taking the right decisions on a daily basis, the company will eventually hit a point of breakthrough where the media will start talking about the company as it was an instant success. However, it required them many years of working every day towards smaller goals achieved one after another. 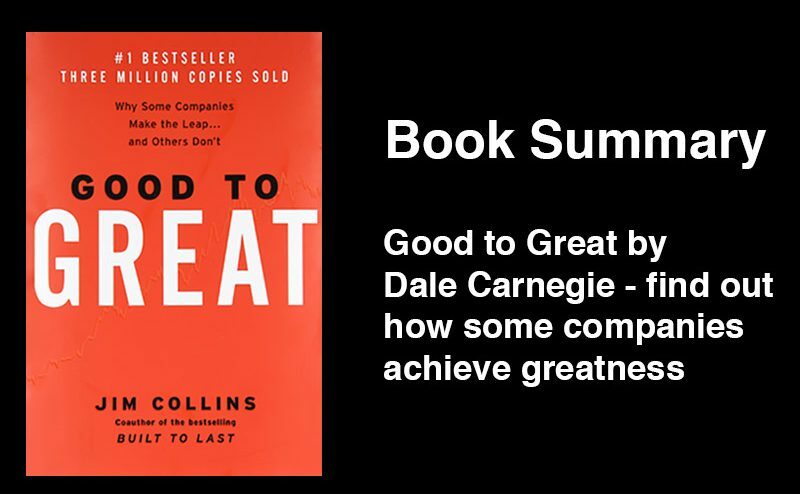 In fact, good to great companies had no specific events that made them more popular at a specific period, it was just a constant work on pushing the flywheel to the right direction and constantly increase it speed. Instead on quietly working on what need to be done and do it, Comparison companies frequently launched new programs. It would be like pushing a flywheel, then suddenly stop and start pushing the flywheel in another direction. Expecting a breakthrough in one push, comparison companies skip building. like if they would expect on winning the jackpot in a casino by inserting a coin in a machine and looking at the result. In order for a company to become great, firstly, the leaders need to follow the level 5 leadership principle and need to employ the right people on the bus. Secondly, they need to find what is not working or what could be done better by confronting the brutal facts and following the hedgehog concept. Thirdly, act upon those reflected decisions by trusting employees to do the job and allowing technology to scale the business. Finally, keep pushing the flywheel in the right direction to achieve long-term greatness. Henry Ford – Can or Can’t ?